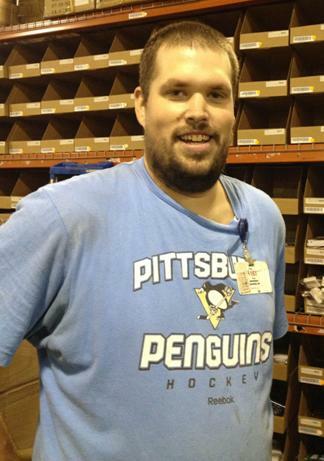 Representing the Warehouse, earning Employee of the Month is Derrick Johns. Derrick is one of our shipping clerks who works hard to make sure the orders get to the customers in a safe and timely manner. Derrick more commonly works at the manifest station, where he is responsible for getting the orders scanned, labeled and attaching the postage to ensure the right package goes to the right customers, using the quickest and most cost efficient way possible. He has been trained on our new shipping software and continues to keep getting the packages out so our customers can enjoy their products! Derrick has earned his title of Employee of the Month for his outstanding work with the Flag Store re-organization project. This project was completed in record time and Derrick was an integral part of that completion. He rose to the challenge and maintained a positive attitude while working hard to get the job done! Great work Derrick, Congratulations!